Thank you for an interesting site and so many great reviews. I’ve looked at most of them about rums that I happen to own and like (some 8 or 10) and I see your palette is close enough to mine that I can use your reviews of rums I haven’t tasted yet to make decisions about new rums to buy. Your reviews have affected both negative and positive buying decisions and I appreciate that. Given all that you have tried, I do find a few holes in your collection. For example Mocambo (I drink the 20 year), a Mexican rum is missing. 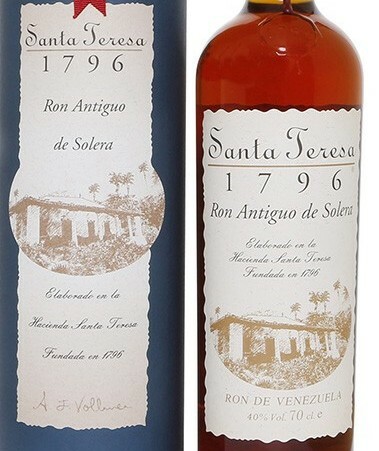 I find it to be very much like Santa Teresa 1796 which I realize you didn’t much like, but remains one of my favorite rums on the “less sweet” side. Another missing item is Atlantico Private Cask which would be a very bright (and by that I mean that the various flavors pop out distinctly) and sweet rum with more of a cane sweetness than the (for example) prune-juice sort of sweetness of something like the Diplomatico. Of all that I mention here you should definately try Atlantico. Two others that also should be on your list are American rums called Papa’s Pilar (from the Hemingway family), a light and a dark. Both interesting and worth a taste. Again thanks, I’ll be reading more here I’m sure. It’s not a question not wanting to try the rums you suggest, more a question of availability (none were or are available in Calgary, where I used to live), or desire — in Europe, where I source most of my current purchases, there are many older or craft rums available, and my attention goes there. Right now, for example, I’m on a crusade to find eastern hemisphere stuff, and older Martinique, Guadeloupe and Haitian rhums. However, your recommendations are noted, and I’ll keep an eye out. Hi and thanks for the hello.. I’m sure you would like to try every quality rum there might be in the world, and so yes I understand that availability (and sometimes price) is often the issue. Believe me I get it. Between local retailers and online vendors in the U.S. there are a lot of rums available to me, but still probably less than 30% of your list. For example, I just cannot seem to find any Pusser’s here in the U.S., and there are many rums available to me that I haven’t tried (Appleton, Mt. Gay, and many others). Meanwhile I have found a lot of good rums, but will have to refocus my search soon at lower price points. Been wonderful discovering $50 and $60+ rums, but I can’t afford to keep restocking them. My favourite Venezuelan rum is the Pampero Aniversario. It’s great.